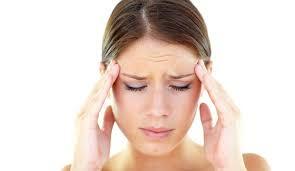 Headache is a common problem that may occur at any age and anytime. Some individuals suffer from chronic headache due to a particular cause. There are several reasons for headache. Sometimes headache may be a symptom of some other disease. People who suffer from chronic neck pain or fibromyalgia may also suffer from chronic headache. Therefore, it is important to determine the duration, frequency and cause of headache for its proper treatment. In conventional remedies a pain killer is prescribed to relive the pain in head. There are several natural remedies for chronic headaches that help to get relief without producing any side effects. Pain killers may produce many side effects on other parts of the body. People who take continuous painkillers become habitual to them and then it becomes difficult to get relief from even stronger pain killers. There are several chronic head home remedies that are discussed here in this article which may be taken during headache. Home remedies may be taken regularly to get long lasting relief from chronic headache. One side of the head may be affected. There may be pain in the right side or left side of the head. There is sensitivity to the light and sound. Person suffering from chronic headache cannot tolerate even slight noise in the room. Irritability, anger and frustration may be associated with pain in the head. Person does not want to talk to anyone and wants to remain aloof. There may be pain and redness of the eyes with chronic headache. Divya Medha Kvatha: This herbal remedy is an excellent remedy for chronic headaches. It helps to provide nutrition to the brain and prevents recurrent attacks of headache. 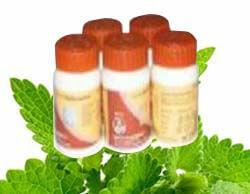 It is a safe herbal remedy and may be taken regularly to prevent headache. Divya Mukta Pishti: This natural remedy is a wonderful solution for people who suffer from regular headache. It increases the blood supply to the brain and gives relief from headache. Divya Praval Pishti: This traditional herb is found to be very useful for the treatment of any type of headache. It helps in preventing recurrent headaches in children when given regularly. This may be used for the treatment of headache of any origin. Divya Godanti Bhasm: This herb is used for headaches of different types. It is a safe remedy for all types of headache. It also helps to improve memory and concentration in children. Divya Medha Vati: This herbal remedy is an excellent product for controlling pain in the head. This remedy may be taken every day to prevent any recurrent attacks of headache. Take one apple, peel it and sprinkle some salt on it. Eat this every day in the morning for a week to get relief from headache. Take some basil leaves, peppercorn and small piece of ginger. Grind them together and take one pinch of this powder with warm water whenever you have headache. Ginger also helps in giving relief from headache. It increases the supply of blood to the blood vessels of the head and reduces pain. It is one of the best remedy for tension headache. Ginger tea is very effective in reducing the headache immediately. Eucalyptus oil is very useful in massaging the head. It gives relief from headache when massaged every day. It provides nutrients to the brain and gives soothing effect to the brain. Coconut oil or almond oil may also be used for doing the massage of the head. Take some cinnamon and grind them to make powder. Add some water to this powder to make a paste. This paste can be applied on the head for getting relief from headache. It is an excellent remedy when headache occurs due to exposure to cold air. Take adequate rest. Adequate sleep is necessary to give proper rest to the brain. Eat healthy diet to provide proper nutrients to the brain. It is very necessary to give proper supply of the brain to get relief from headache. Do regular yoga exercise and meditation to prevent recurrent headaches. Meditation greatly helps in reliving recurrent headaches. Avoid alcohol and cigarette smoking. This may produce toxic substances and can decrease the supply of oxygen and blood to the brain. Children should be advised not to watch too much T.V and should sit at sufficient distance to avoid headache. People who frequently work on computers should take rest in between to avoid headache and eye strain.